Finding the right material for your commercial fencing project can be a challenge. There are many options available, each containing unique performance characteristics and benefits. Choosing the right product for your fencing system can be difficult because not all fencing materials are the same. Traditional building materials like wood, metal and concrete have been the most common building material for a long time. However, these materials break down over time causing the need for replacement, maintenance and repairs, which can end up costing a lot more than anticipated or desired. Introducing SmarterFence™ by Bedford Technology. This new fencing system is a great alternative solution that will keep your fence secure and is built to last for generations to come. Developed, designed and tested by the engineers at Bedford Technology, SmarterFence™ by Bedford Technology is a low-maintenance, durable and strong solution that will hold up in all types of weather conditions and everyday wear-and-tear. Even large animal contact is no match for SmarterFence™. With a technologically-advanced fastening method, you won’t have to worry about expansion and contraction of the material because Bedford Technology will provide exact measurements and a gapping tool that allows for easy installation. 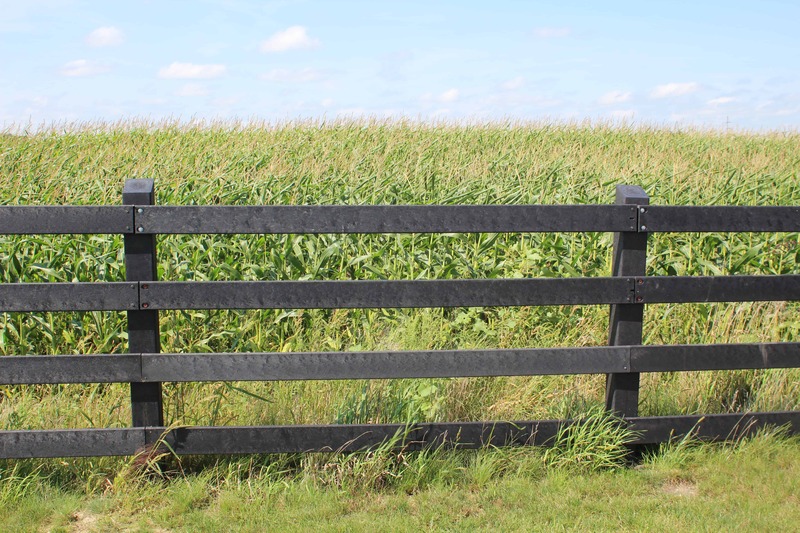 Traditional fence building materials are wood, metal and concrete. 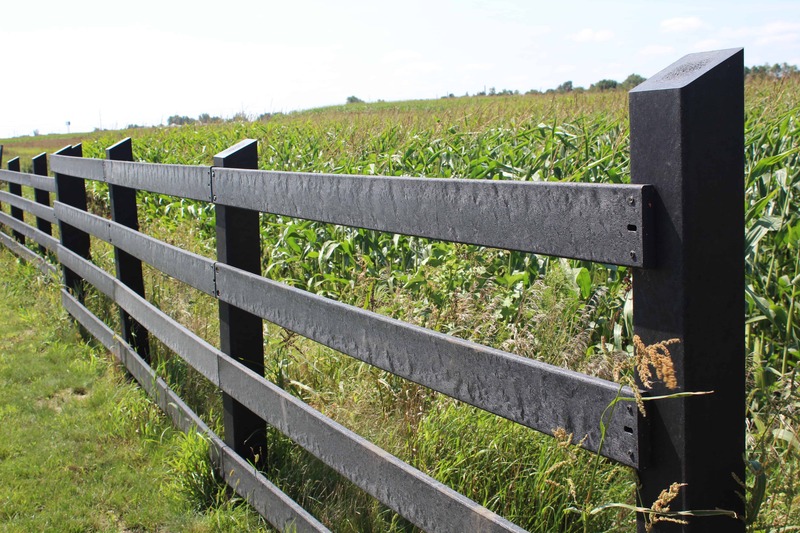 While these materials have been used for numerous fencing applications, each contain downsides that can end up costing more time and money in the long-run. Wood is prone to rotting, insect and pest damage and mold. Metal can rust and corrode and PVC (Polyvinyl Chloride) can become brittle and break in cold temperatures. It also can have negative effects on your health and the environment. For example, when PVC (Polyvinyl Chloride) is manufactured, dioxins are released. At least one dioxin in PVC is categorized as a carcinogen, which can cause cancer in living tissue. Want a more durable, long-lasting and environmentally-friendly solution that can withstand tough environments? Look to Bedford Technology for the solution. Unlike traditional fencing materials, structural recycled plastic lumber doesn’t need to be replaced as often and is a multi-generational product that will hold up in extreme environments. All Bedford Technology products are manufactured using post-consumer recycled products like milk jugs and laundry detergent bottles. Re-purposing this material helps keep millions of pounds of plastic out the landfill each year. SmarterFence™ by Bedford Technology will save you time and money in repair and maintenance costs, and with the industry-leading warranty (50 years), so you can build it once and forget about it. Ready to Work Smarter with Bedford Technology’s New Fencing Product? Connect with us today! We are here to answer all of your questions, and help you succeed with your next fencing project! Connect with Bedford Technology at the NRPA Annual Conference 2018 in Indianapolis!